Levaquin and Prednisone are a dangerous and potentially disabling combination. Learn why you should NEVER EVER EVER take these two drugs together- despite the fact that they are frequently paired together for conditions such as respiratory conditions and Levaquin Sinus Infection treatment. 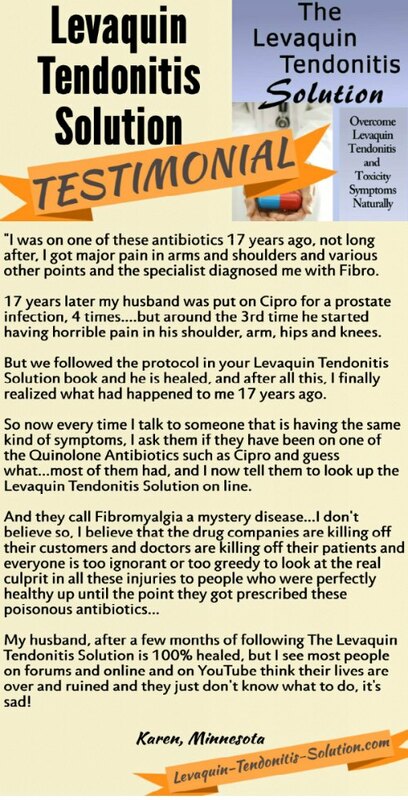 Levaquin is a commonly prescribed antibiotic in a class known as the Quinolone Antibiotics, which are known to be so incredibly toxic that 11 of these antibiotics have already been removed from the market due to dangerous side effects. You can see a full List of Quinolones here. Among these side effects is a condition called Levaquin Tendonitis or Cipro Tendonitis that can cause problems from mild tendon pain all the way up to deadly conditions such as Aortic Aneurysm. There are also close to 150 Levaquin Drug Interactions that can increase this risk of toxicity and/or contribute to other problems. Problems such as anxiety and panic attacks are common problems related to Levaquin that are usually dismissed as being a psychological problem rather than the true reaction from the drug and it's many interactions. 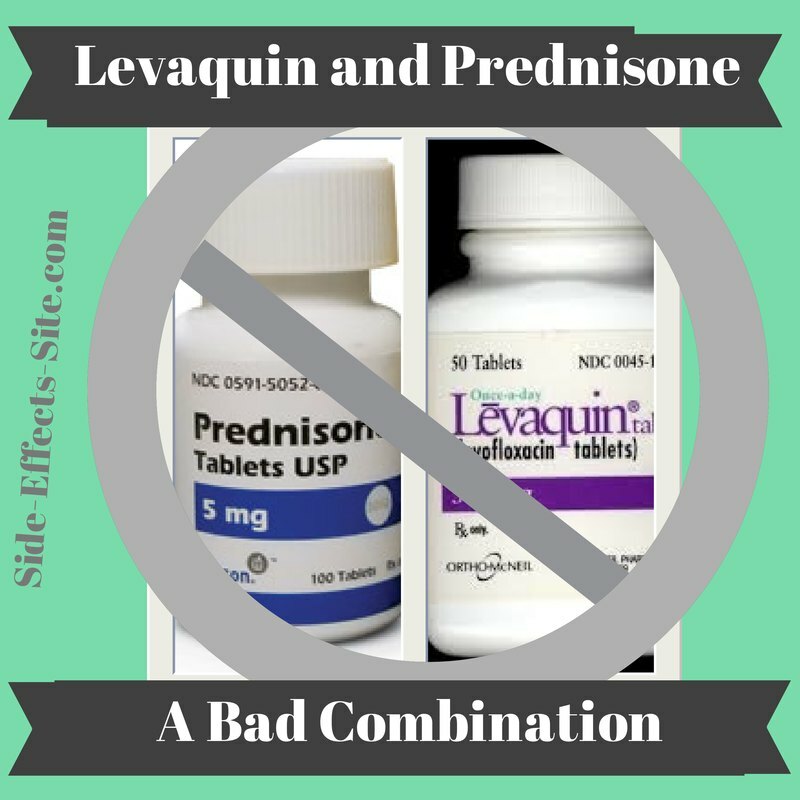 One of the most important Levaquin Drug Interactions that you should be aware of is that between Prednisone and Levaquin- including ALL other steroidal anti-inflammatory drugs. Prednisone is a 'Steroidal Anti-inflammatory Drug' that is used in severe cases of inflammation such as occurs in the airways during asthma attacks or in the joints in cases of rheumatoid arthritis. Prednisone also has it's own set of serious Prednisone Side Effects that should make you think twice about taking this drug- especially multiple times or over the long term. Together, however, this drug interaction can make you a terrible mess. FQResearch.org- a website dedicated to educating the public about the dangers of this class of antibiotics. These pages will help you to be informed about the risks you expose yourself to by taking these drugs, such as DNA Damage. You already have a serious chance of having these toxicity problems if you take Levaquin by itself, but this chance is increased when you take Levaquin along with Prednisone or any other steroidal anti-inflammatory drug at the same time, or even if you take Fluoroquinolones and Alcohol. And with the possible severity of symptoms and reports of LIFELONG disability from the use of these drugs, you are taking a huge risk by taking these drugs together. Taking Levaquin by itself is dangerous enough, adding Prednisone at the same time is sheer folly when you understand how horrible and damaging Levaquin Toxicity is. I took Levaquin and Prednisone together- do I need to worry?